insecure; building might be torn down during restructuring process of the whole area. But recently (07/2002) there have been signs "to let" in the windows. Former underclothes shop -, run as second off-space in Frankfurt. 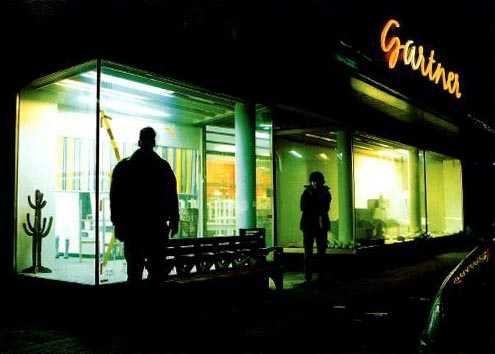 After the resolution of "Muttertag" Annette Gloser and Dirk Paschke startet their project "Gartners", a name taken from the shop front's neon sign, referring to a fomer underclothes shop. Parts of the custom made furniture of the shop had survived was used for a bar. 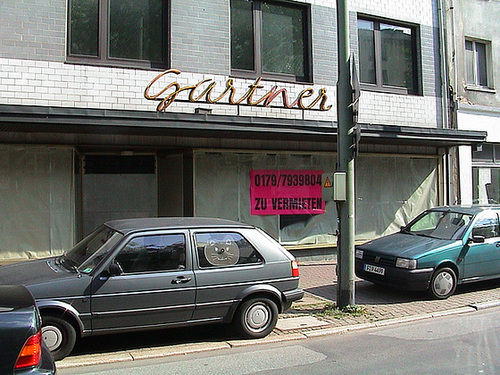 The nature of "Gartners" never became quite clear: was it a bar, a club, a gallery or some sort of social community project? 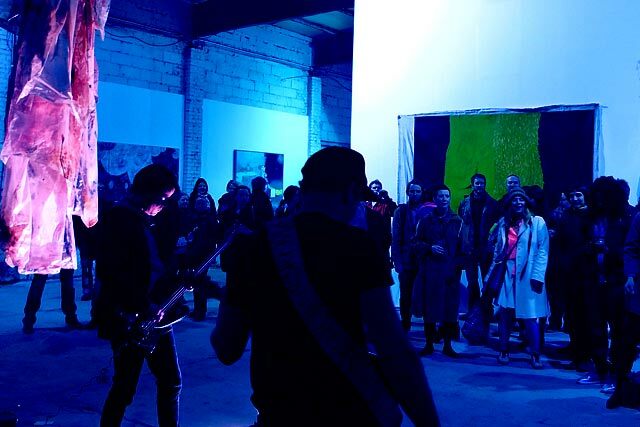 During the only two years of operation their were numerous of different kinds of events. I strongly remember a Post Office, a Texas Saloon and a Mini Golf course. Wir suchen noch dringend Bilder vom Gartners aus seiner aktiven Zeit. Wer kann aushelfen?